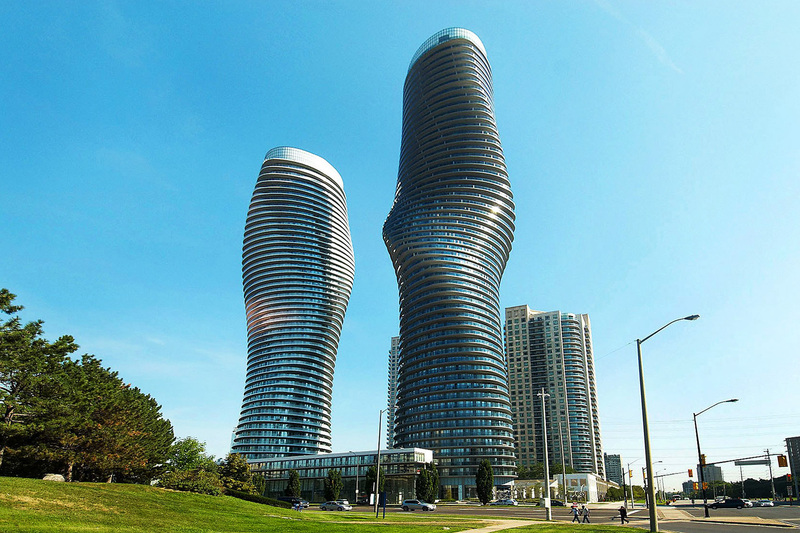 The Marilyn Monroe Condos were designed to bring Mississauga world wide recognition. The architecture of the structures is completely unique and has been hailed with numerous awards and accolades. We’ll preface this article about Absolute Condo problems by covering some technical aspects. The entire “Absolute Community” is composed of five separate condo towers. 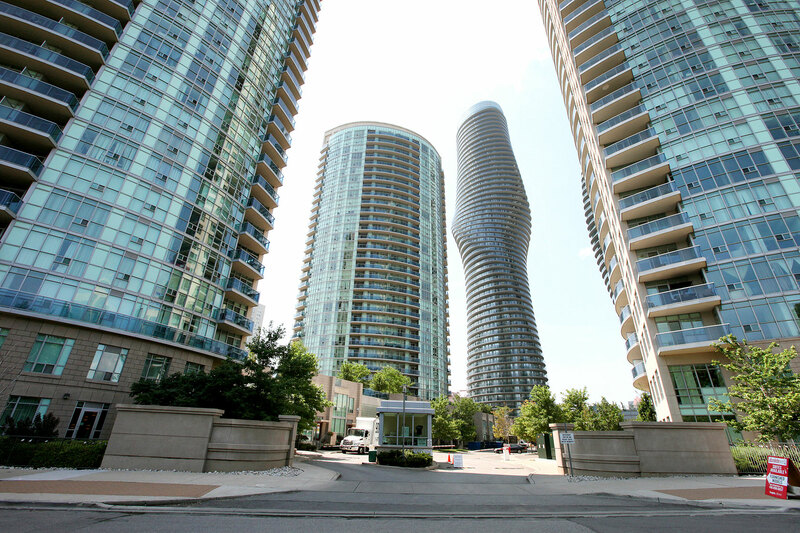 As a group they are known by their proper name “Absolute Condos” although given the curves of the two most famous buildings, they’ve garnered the title “Marilyn Monroe Condos“. Within this article, they’ll be referred to by the proper name; Absolute Condos. This should clarify the nomenclature. The residential complex is composed of five towers. 70, 80, and 90 Absolute Ave which are the older towers. 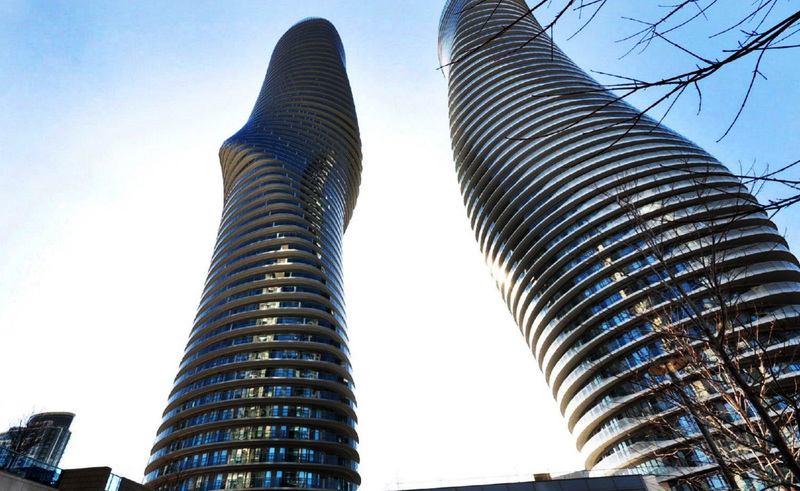 50 and 60 Absolute are the iconic twisting towers. The Absolute condo problems stem from several different factors. I must prelude that this is not meant to discourage individuals looking to live here. However, as any good representative would do, we must disclose even the negative aspects. Since I’m asked questions many times with regards to the Absolute Condos and rumours, I’ll address them so the public can gather information. We’ll begin with the most technical of the Absolute Condo problems; congestion. When originally conceived, the complex featured two entrances via east and west gatehouses. Unfortunately, during peak hours these can get quite backed up. This is mainly due to a high volume of visitors given the residing demographics. Visitor rules have become fairly strict and therefore wait times can reach an excess of ten minutes periodically depending on situations. Given the central downtown location, high volume can be expected. Therefore this is something to consider when reviewing this development. The second of the Absolute Condo problems is relevant to the design of the buildings themselves. Given the circular architecture, certain rooms have curved walls. This does offer some interesting options for furniture and décor ideas, but for many people it causes an issue with existing furniture. In some cases, the inability to properly orient the furniture can decrease square footage even further. Additionally in the smaller units, there are supporting walls which tend to minimize the open concept feeling. This issue is not prevalent in the larger floorplans. First of all thank you for your comment. This article was written a while back and you are correct, many of the issues are still quite prevalent in these buildings. Personally I advise people to be wary of them and typically steer them to other options in the area. Although, playing devil’s advocate, if you’re looking from an investment perspective, you can find some very low priced units and lease them with a proper down-payment for a cashflow positive rental property. However the appreciation over the years may then be an issue. It’s an interesting situation what’s happened at Absolute, and with more condo buildings being built, we’ll see how it all plays out over the coming years. As per the status certificate from 70 Absolute Ave, this condo building has kitec plumbing throughout! Nothing has been done about this major deal breaker as yet. It’s true, that entire complex has unfortunately been plagued with problems. The Kitec plumbing issues are starting to come to light in some of the buildings in the area. This is why anyone who wants to buy condos at Square One needs to utilize real estate agents who know the buildings inside and out. Just spoke with building management, and I was assured (and on email to back it up), that 80 Absolute does NOT use kitec plumbing. Thank you for the clarification. The buildings are each ran by different condo corporations and were also built at slightly different times, hence why some do contain Kiten and others do not. Thank you for your comment, it’ll help future readers!